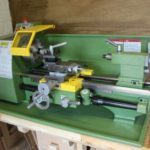 A listing of lathes I have owned, used or just reviewed. 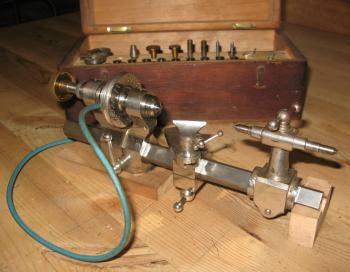 Plus useful pages on the anatomy of a lathe and how to…. We would like to hear from you about useful techniques, lathes you would like to share with us or some great new lathes available on the market. Boley a watchmakers lathe that I bought some years ago and as yet have not used, but thought I should share some images of this diminutive and beautiful lathe. Emco Unimat 3 a lathe I’ve been using since 1978, the lathe I first used and learnt to turn on. The Unimat 3 is more than a lathe with a lot of accessories that can be added to turn it into a milling machine, circular saw or pillar drill. I’ve made a number of things over the years using this lathe, one of the first items was a Stuart 10V steam engine. The only thing with the original Emco Unimat 3 that was not so great was the motor that could only run for around 10 minutes before overheating. Anybody who has owned one of these has pushed it to the limits and ended up with motor trouble. Hobbymat MD65 is another lathe that I’ve been using for a very long time. The Hobbymat MD65 has an unusual “D” shape cross-sectioned bed and is not to everyone’s taste, but it has been a mainstay of my workshop for a very long time and is still in use and working hard after more than 30 years. 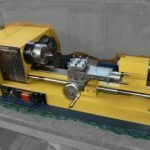 This is a great lathe to learn how to thread cut as it has a good selection of gears for this purpose, I’ve been using it with a simple hand drive so that I can cut threads right up to a shoulder. 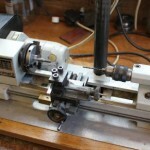 Until recently I’ve been using this lathe for gear cutting. This wood and metal beam engine was machined using this lathe. Warco WM240b a much larger lathe and perfectly capable of handling big machining jobs, well big for a hobby workshop. Maximum swing is 240mm and 400mm between centres. An ER25 collet chuck is a great addition as it allows you to hold parts very accurately and also as it holds around the complete circumference you can hold quite delicate parts without damaging them. The faceplate on that comes with the Warco WM240b is quite a large piece of cast iron and an impressive faceplate, it does have a fundamental design flaw though. Changing the chuck on the Warco lathe gives some simple do’s and don’ts.